Duane bought this guitar in 1969 from George Gruhn (GTR, Fourth Avenue, Nashville) for $350. The guitar was made by a Chicago-based company called Regal, that manufactured resonator guitars licensed by Dobro. We, unfortunately, couldn’t figure out the exact model of the guitar. Based on the photos available, it seems that Duane’s guitar features gold-plated hardware and custom inlays, which would indicate that it belongs among the top-of-the-line models 200/205/206 (ResoGat). If you happen to know anything more about this guitar, please be sure to forward it to us. 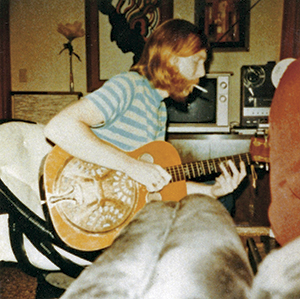 For your own personal research, please refer to this image – Duane Allman on a Dobro. This wooden body Dobro/Regal was widely used in the studio, on songs such as ‘Little Martha’, ‘Please Be With Me’, and on ‘Mean Old World’ with the Dominos. 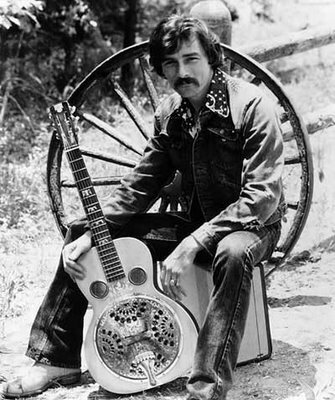 After Duane’s death the guitar ended up with Dickey Betts who still owns it to this day (see Dickey with the Dobro), and it can be seen on the cover of his 1974 album “Highway Call”. The first important one I had was around 1970 – around the time I met Duane Allman. Because his was the first one I ever saw, it came from GTR. – from the Christie’s auction of Eric’s late 30s Dobro.